FAUCET TIPS AND TRENDS BY DESIGNER TO THE STARS "BRUCE"
Land of great cultural and artistic values, "Birthplace of the Italian Renaissance", the age where the humanity and the modern conscience were born after a long period of decline, resume the "Italian way of Life", in Culture, in the Aesthetic and in the Creativity. 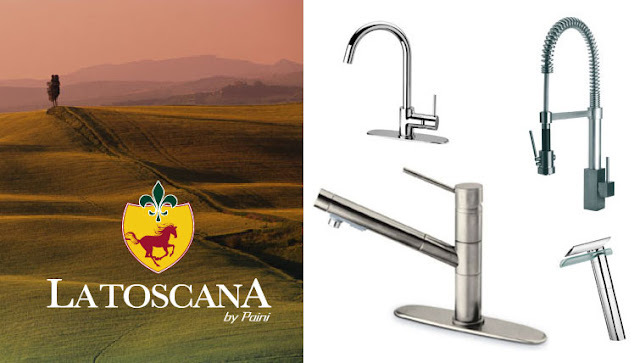 to this concept Latoscana Collection is inspired: to creat the "Italian Bathroom Style". Where the beauty of the style is essential and follows the ultimate trends, mixing the refined old fashion with the newest finishing shapes. Looking for a Faucet Coupon? Type: BLOG when you checkout at eFaucets.comhttp://www.efaucets.com/. This coupon code will give you $10 off any faucet or accessory item order over $199.